This Flag Sign Is Always In-Stock for Fast Shipping! Many More Sizes Are Available Online. Find The Perfect Flag Sign from This Site! 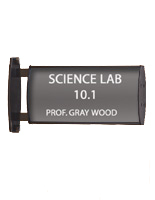 3.75" x 5" 3.75" x 8" 3.75" x 15"
5.75" x 9" 8.5" x 11"
Double-sided frame designed to hold (2) 6" x 5-3/4" graphics. Front loading with a suction cup included for fast and easy changes. Non-glare lens provided to prevent glare and tampering. 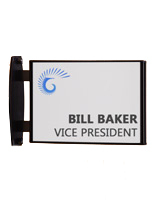 This flag sign is ideal for use in any business settings to display signage. 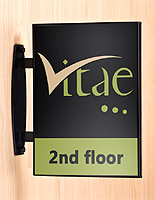 Each wayfinding system has a double-sided frame for high visibility. This wall display, also known as flag sign, is constructed from quality aluminum with a black finish. The product should only be used indoors to show simple messages. 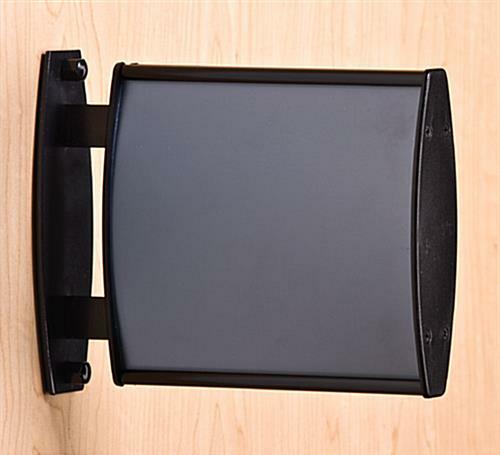 This directory displayer often can be used in public areas. 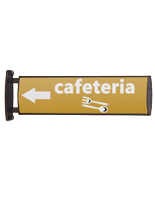 The black flag sign can also be used in public areas like lobbies and hospitals to direct customers to the right place. By mounting this flag sign on the wall, it prevents visitors from entering the wrong room. This flag sign that is double-sided accommodates (2) 6" x 5-3/4" back-to-back. The aluminum frame can accomodates either a portrait or landscape style artwork. This hallway display, flag sign permits visitors from either direction to view notices. The unit is sold without graphics included. Customers are required to prepare their own signage. There are (2) non-glare lenses included with this wall flag sign. The plastic overlay is provided to protect the graphics from getting ruined and prevent any reflection from making it easy for visitors to view the signs! This flag sign that has a curved design will command attention no matter where they are mounted! The eye-catching displayer is a perfect way to direct clients. 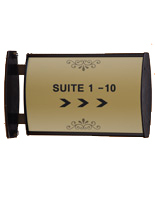 One of the best features of this room number holder is that users do not need to detach the unit from the surface to change the artwork. 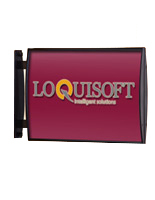 This flag sign that has a front loading feature provides users with a fast and easy way to change the graphics. Simply use the included suction cup to lift-up the plastic overlay, and place the artwork underneath the lens. In fact, because this wall display is so easy-to-use, it is ideal for places that often update their graphics. 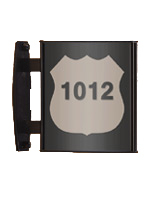 This room number plate is available in many other sizes as well. Please see related products on the right for more options. 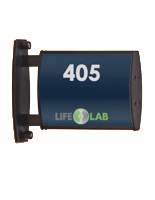 This site offers these directory signs at a low price, making them an ideal purchase for a variety of uses. 7.8" x 6.4" x 20.0"